Lemon Garlic Marinade - our favorite! SO simple and SOOO delicious! Chicken marinated in olive oil, dijon mustard, garlic, salt, pepper and lemons. Everyone raves about this chicken!! TONS of flavor! We've had some beautiful weather the past few weekends. We've fired up the grill for lunch several times. We made this chicken last weekend, and it was SO delicious. The marinade is super simple and has tons of great flavor. You can use any type of chicken you have on hand. 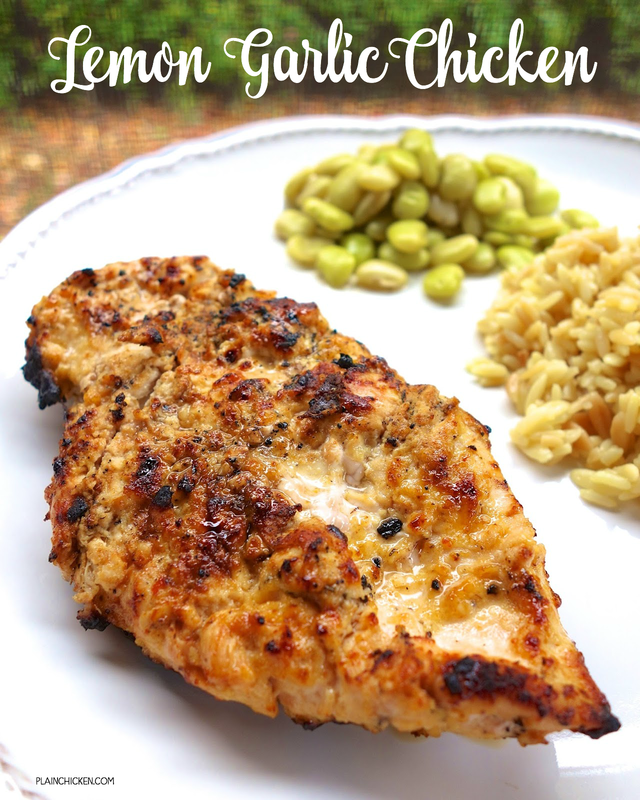 We used chicken breasts, but this would also be delicious on chicken thighs or even drumsticks. 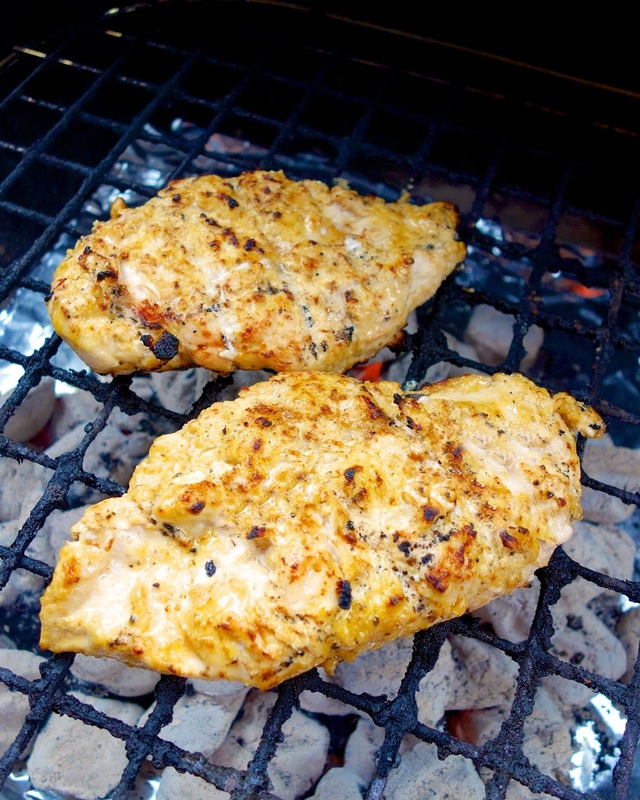 A tip on grilling chicken breasts - pound the chicken to an even thickness before marinating. It helps to cook the chicken evenly and not have the skinny end dry out while waiting on the thicker end to cook. Whisk together olive oil, dijon mustard, garlic, salt, pepper and lemon. Pour over chicken and refrigerate for 2-12 hours. Making It right now shure looks and tast great!!! I do this in the crock pot - put (2 lbs) boneless breasts into the crock pot along with the marinade they've been sitting in and cook on high for 4 hours - delish!! One time I added a small bag of frozen cut green beans about an hour before the chicken was done and it was really good that way! !